Gonzaga Prep star forward Anton Watson was invited to USA Men’s U18 National Team training camp, according to a press release by the organization on Monday. 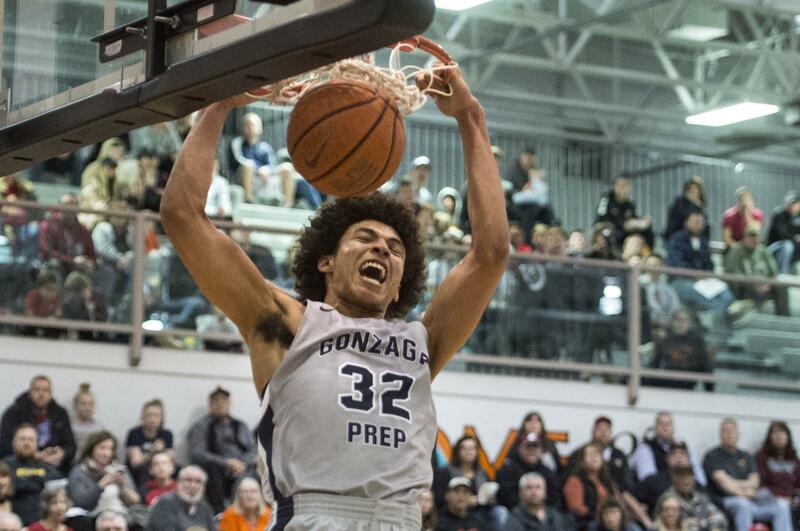 Watson, a Gonzaga University signee who led G-Prep to a State 4A title as a junior in 2017-18, was named the Associated Press and Seattle Times all-state boys player of the year and was MVP of the state tournament. Watson averaged 21.9 points and 8.2 rebounds last season. Training camp for the 2018 USA Basketball Men’s U18 National Team will take place May 31-June 2 at the U.S. Olympic Training Center in Colorado Springs, Colorado. It will feature 32 athletes overall, including 17 with experience from at least one prior USA Basketball training camp. The 2018 FIBA Americas U18 Championship for Men will be held June 10-16 in St. Catharines, Canada. The top four finishing teams will qualify for the 2019 FIBA U19 World Cup for Men. The USA will be led by Bill Self (Kansas) with assistant coaches Anthony Grant (Dayton) and Danny Manning (Wake Forest). Published: May 8, 2018, 5:59 p.m. Updated: May 8, 2018, 6:21 p.m.